Spinal stenosis is the narrowing of the space for the spinal cord or nerve branches. More specifically, as the spine degenerates over time, it can lead to the formation of bone spurs. As the bone spurs form, the size of the spinal canal (boney tunnel transmitting to the spinal nerves) becomes smaller. The bone spurs press on the spinal cord or the nerve roots, often causing pain. This degenerative condition is most common in the upper spine (neck) region or in the lower spine (lumbar) region. It is also associated with spondlylolisthesis (vertebra that slips forward and is not in line with the others) and scoliosis (crooked spine) More than 1.2 million Americans suffer back pain stemming from spinal stenosis, with men and women being affected equally. Women, however, are more likely to have symptoms that require treatment. Arthritis is the most common cause of spinal stenosis. While spinal stenosis can affect younger patients, it is most common in those 60 and older. What Are the Symptoms of Spinal Arthritis & Spinal Stenosis? If you experience major weakness or can’t control your bladder or bowels, seek help from a board-certified spine physician immediately as these symptoms can signal a more serious problem. What Are the Causes of Spinal Arthritis/Spinal Stenosis? What Are the Treatments for Spinal Arthritis/Spinal Stenosis? Physicians at Midwest Orthopaedics at Rush first use conservative, nonsurgical treatments for spinal stenosis. 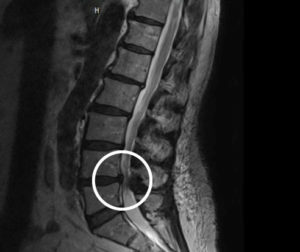 Recent studies by the National Institute of Health show that surgical intervention leads to improved clinical outcomes when compared to non-surgical treatments for lumbar spinal stenosis herniated lumbar discs. Dr. Singh may recommend surgery. The goal of the surgery is to open up the spinal canal to give nerves adequate space. While surgery to open the spinal canal relieves leg pain, it is less reliable in alleviating back pain. There are two primary kinds of spinal stenosis surgery: lumbar laminectomy and lumbar fusion.